WS Folio is a creative design portfolio, small business WordPress theme coded with Bootstrap Framework. This theme comes with two awesome styles first one modern and second minimal version. Both version included the same package. 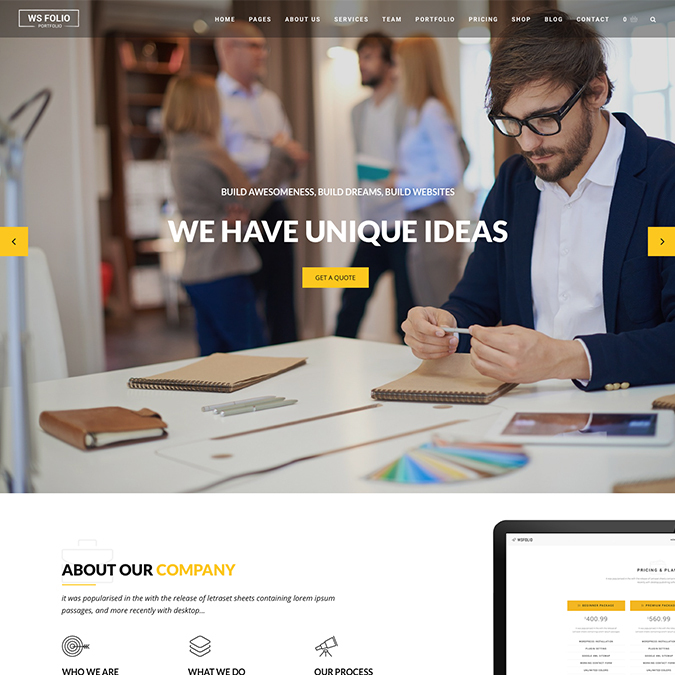 This theme onepage and multipage design with tons of sections. For example team members, sliders, dropdown menu support and much more.